Quality, value, and expertise are just a few of the reasons to choose Renewal by Andersen® for your door and window replacement. 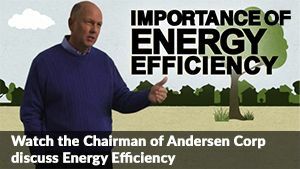 Here is a few brief reasons Renewal by Andersen is the smart choice for all of your door and window replacement needs. Renewal by Andersen’s exclusive Fibrex® material lasts longer*, looks better, and performs beautifully! When you choose Renewal by Andersen door or window replacement, you will enjoy many years of indoor comfort, low-maintenance, and energy efficiency. The advanced materials used in the design of their replacement windows and doors, materials like Fibrex and High Performance™ Low-E4® SmartSun™ glass, outperform and outlast nearly any others. You can learn more about these materials on our Energy Efficient Design page. The only aspect of Renewal by Andersen that surpasses the quality of both their materials and their warranties, is their service. Regional representatives like Renewal by Andersen of New Jersey-New York Metro provide local homeowners with expert, professional service. Whether you are working with our experienced design consultants or our highly skilled installation specialists, you’ll know that you made the right choice as soon as you see our award winning service. To learn more about what makes Renewal by Andersen the best choice for replacement windows, give us a call at (800) 577-7744. New Jersey and New York homeowners can also fill out our convenient request an estimate form to schedule a free, in-home consultation.